LINDSAY – Just as spring renews its promise of life, Lindsay’s annual spring tradition renews the town’s spirit and pride surrounding its top crop. 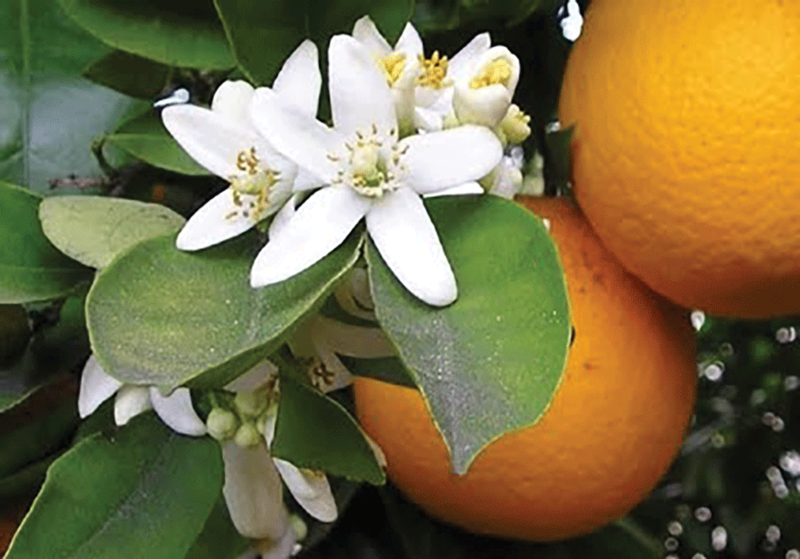 The City of Lindsay will hold its annual Orange Blossom Festival (OBF) next week, April 6-14, with daily activities for the Queen and Court, culminating Saturday, April 13 in a parade through town that will feature bands and groups from Lindsay and surrounding communities. The OBF Queen, her Court and Lindsay’s Honored Couple will also make appearances at a reception for artists entered into the OBF Art Show. Lindsay Art Association, in conjunction with Lindsay Cultural Arts Council, will present the 2019 Orange Blossom Festival Art Show at the Lindsay Museum & Gallery, 165 N. Gale Hill Ave. The reception will be held from 5 to 7 p.m. on Friday, April 12. Awards in several categories will be announced at the opening reception, including Best of Show. The judged art show, which begins two weeks earlier than usual on Friday, March 29, will feature the work of Tulare County adult artists and college students in one division, and high school students in a second division, working in a wide variety of media. Ribbons will be awarded in each of several media categories, including oils, watercolors, acrylics, sculpture, photography, digital art, pottery, gourd art, and weaving. The show’s early opening will allow members of the community additional time to visit the Museum & Gallery and enjoy the history displays, as well as the works of art. The “Open” division includes Adults and College students. The “Student Division” includes one group for students in grades 9-12, and one group for students in grades K-8. The artwork will hang at the gallery through Sunday, May 5. Gallery hours are noon to 4 p.m. on Fridays and Sundays. “Open” artists are invited to submit up to three pieces of original art, (maximum size 48-inches in length or width, framed). Fees are as follows: 1st piece is $5, 2nd piece is $3, and the third piece is $2. Art must be brought to the Lindsay Museum & Gallery, 165 N. Gale Hill Ave., Lindsay on Sunday, April 8 between noon and 4 p.m. or Monday, March 25, from 12 to 6 p.m. The museum’s regular hours are from noon to 4 p.m. on Friday and Sunday. Come to Lindsay to see the OBF Art Show, and enjoy the reception. For additional information, contact Bill Tungate at 559-709-6178, or email at: btungate2002@yahoo.com.